The Mexico Flag is a symbol of the legacy of Mexico and its people. It has been in use for almost two centuries without undergoing any major changes in its iconic design and their nation. The Mexican flag stands out for its color combination that is different from other Latin American countries and its link to the native culture of the area. Our 100% made in USA 3'x5' Mexico Nylon Outdoor Flag is the best way to celebrate the Mexican pride during patriotic events, sports events perfect for people of Mexican origin. Shop right away and avail the advantage of the best prices, quick shipping and much more! 100% customer satisfaction guaranteed! Leave a patriotic statement with our outdoor Mexico flags. These are perfect to carry at your next Cinco de Mayo parade or use it on your taco truck or booth. 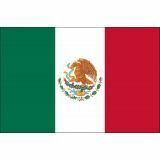 Display your Mexican pride with these cost effective flags from Tuff Flags. 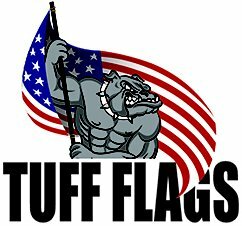 Made of premium quality 200 Denier nylon fabric and finished with poly sateen heading and grommets, these flags feature UV resistant Dupont ink, which will retain the beauty and color clarity for a long time. The flag features three vertical stripes of green, white, and red with the national coat of arms in the center of the flag.Color green in the flag represents the nation's prosperity, white stripe is a symbol of peace and national harmony and the red stripe represents the sacrifices made by the nation's revolutionary heroes.The national coat of arms depicts an eagle with a snake clutched in its talons that is perched upon a prickly pear cactus, which represents its Aztec legacy. 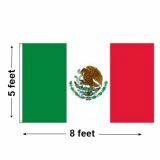 Browse our collection of Mexico Flags to place orders. 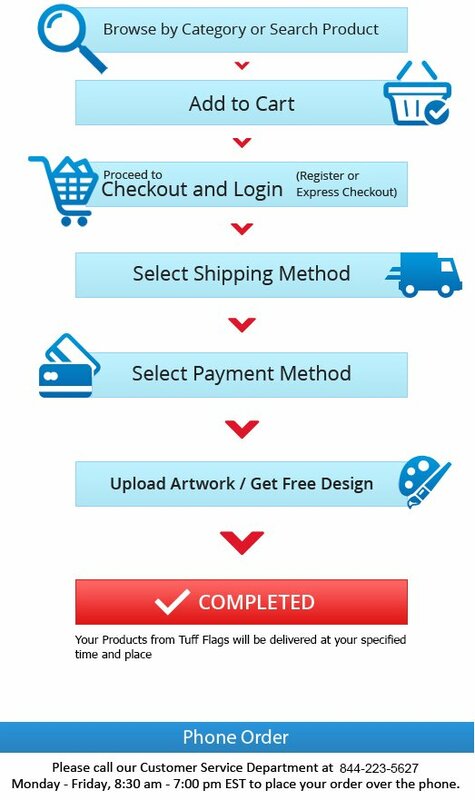 Should you need tips or have queries, call us at our toll free number (888) 287-3524 or email at customercare@tuffflags.com and we shall walk you through the ordering process.